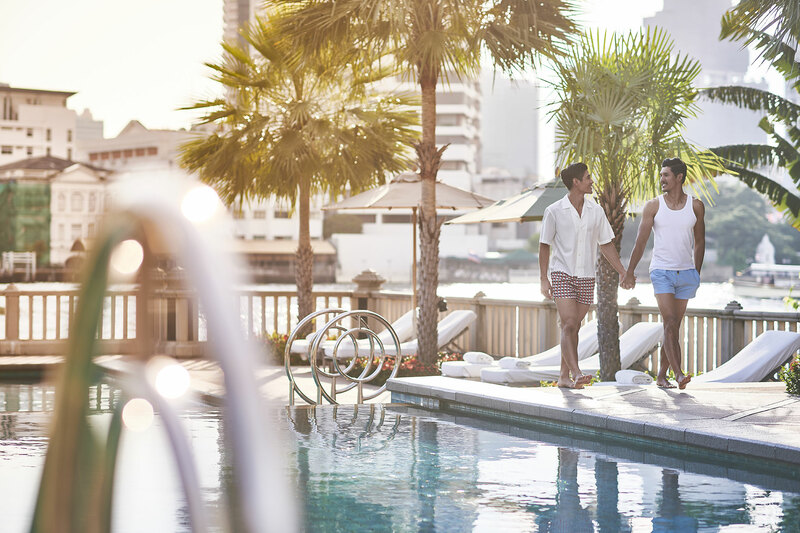 The Peninsula Bangkok perfectly mixes timeless elegance and sophistication with contemporary comfort and technology. Its distinctive waved-shape design affords each of the 370 rooms and suites stunning views over the historic Chao Phraya River. The magnificent Peninsula Spa, offering treatments that layer Thai, European and Ayurvedic philosophies for an entirely new experience. Guests can relax by the three-tiered swimming pool or indulge at the Fitness Centre. The Peninsula Bangkok offers world-class cuisines include Thai home-style dishes at Thiptara, authentic Cantonese cuisine at Mei Jiang, international dishes at River Cafe Terrace, and a selection of light meals and the traditional Peninsula Afternoon Tea, in The Lobby.